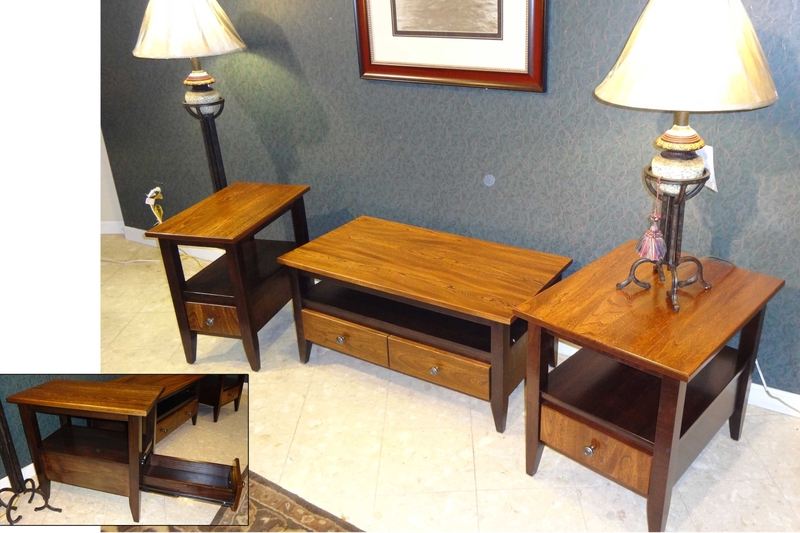 Amish Furniture Elm and Maple Tables. Jasens Furniture Metro Detroit Michigan.Serving Macomb with Made in USA, Made in Michigan, and solid wood furniture. SOLID MAPLE; SOLID ELM, Onyx finish on Maple wood, Michael’s Cherry on Elm (top and fronts) brushed pewter hardware, clean styling, and smooth extension glides for each drawer. Pieces can be ordered in any DIMENSIONS you desire, 30+ colors with Oak, maple, Cherry, and with hardware selection from an extensive catalog. Matching Entertainment console is available- click the button below to see. MADE IN USA! !